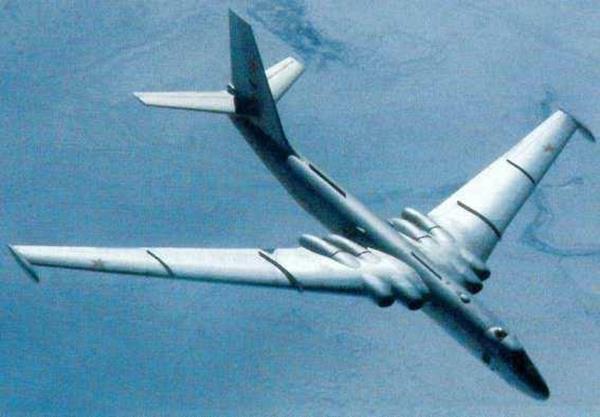 In the early days of the Cold War, Soviet long range missiles had not yet been developed and the biggest fear was from their long range bombers. 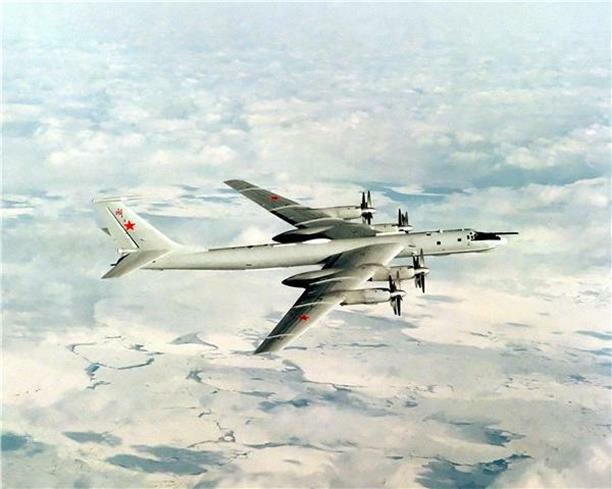 Those were the Tupolev Tu-95 Bear and the Myasishchev M-4 Bison bombers. In order to protect the major cities of the United States and especially the larger industrial cities, like Pittsburgh, an air defense system had to be developed. As such, those cities deemed important enough were �ringed in steel�. These �rings� consisted of antiaircraft artillery sites that surrounded these cities. From 1952 until 1958 there were twelve (12) such sites commanding hilltops around the City of Pittsburgh. These sites contained an array of ��90 mm or 120 mm antiaircraft artillery guns and sufficient troops to man and maintain the guns and their facilities. The responsibility for the protective arc formed in the North Hills fell to the 74th AAA Gun Battalion. �The sites were chosen for their commanding view of the northern aerial approaches to Pittsburgh. At the time this area was mostly rolling farm land and was only starting to develop into a suburban area. The 74th AAA Gun Battalion consisted of four (4) batteries of antiaircraft guns at the following locations. Headquarters and Battery A was located on Gass Road at Valley Hi Drive, in Ross Township, designated as West View. Battery B was located on Schramm�s farm, off McKnight Road in Ross Township, designated as Millvale. Battery C was located in Shaler Township, off the end of� South Magnolia Drive and Middle Road, designated as Etna. Lastly, Battery D was located at the former Allegheny County Work House Farm, above Blawnox, now the R.I.D.C. Industrial Park, designated as Blawnox. In the following diagrams it will be evident that Pittsburgh was one of the major centers chosen for antiaircraft defense. Aside from the major steel production in the area, Pittsburgh was also an important center for machine tools, coal and natural gas production, and a transportation center. Many of the highway and railroad systems came through Pittsburgh which was necessary for transportation of goods and products, public and military conveyance and for use in evacuation, if it became necessary. The situation of the river systems was also important. The rivers were used extensively for the transport of materials, both raw and finished. The antiaircraft sites were then was turned over to the Pennsylvania Army National Guard and redesignated as; the 708th AAA Gun Battalion. This was then manned by Pennsylvania Army National Guard troops that had been federalized. These units remained on site until they were deactivated in October 1957. Then the air defense of Pittsburgh was turned over completely to NIKE surface to air missile sites. Because of their extended range, fewer sites were needed for even better coverage. 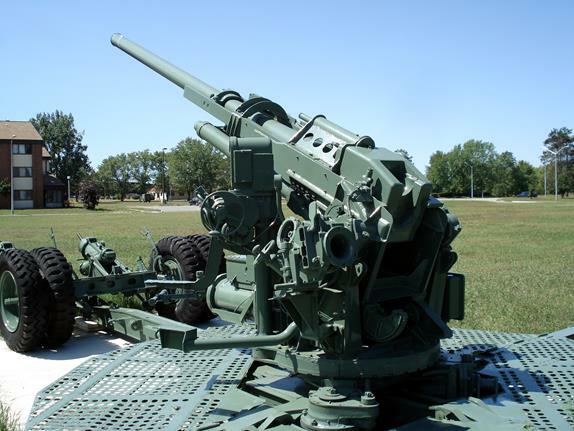 The antiaircraft guns were considered the �Last Line of Defense� in the event of a Soviet air attack. The United States Air Force was tasked with deterring and defending against these attacks but there was always the thought that one or two bombers might �leak� through our fighters. If that happened, our cities, industrial centers and transportation centers would be totally without protection. That is where the guns came in. Actual muzzle velocity was dependent on ammunition used and environmental conditions. Maximum range was limited by a 30-second timed fuze. Attached are 1957 aerial photographs of the sites which clearly shows the U S Army site when it was in operation. Judging from the foliage in the photo, this shot would have been taken several months before the sites were deactivated. The photos show the four (4) gun revetments on the site, barracks, headquarters, mess hall, communications shack and maintenance buildings. There also would have been underground storage facilities for the live ammunition. With an average gun crew of ten (10) soldiers, the unit strength would have been in the area of 100 officers and enlisted soldiers at any given time. The original site is at the bottom, which is now a residential housing plan. The area at the top is the construction site of the RADAR Control facilities for the NIKE missiles. Schramm�s Farm, McKnight Road, Millvale Site. Battery B 74th AAA Gun Battalion. McKnight Road is to the West. This is now the Ross Park Mall. off� Middle Road to South Magnolia Drive. The site was near the end of the street. Battery D of the 74th AAA Gun Battalion. Located near the intersection of Alpha Drive, Gamma�Drive and Delta Drive. This was formerly the Allegheny County Prison work farm at the time of the Cold War. The above photo shows, then SFC Earl Close, left, working with other U. S. Army personnel. 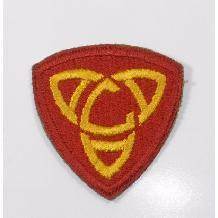 �These soldiers were preparing the Pittsburgh Air Defense Program. This was prior to his commissioning as a Second Lieutenant. Each site was armed with four (4) M-2 90 mm antiaircraft guns, as their direct fire weapons against incoming enemy bombers. The sites were also equipped with a Browning M-2 quad mount .50 caliber machine gun for use against low flying aircraft and as a ground attack defense weapon. Some sites were also equipped with a 40 mm rapid fire antiaircraft gun for similar tasking. NOTE � the spelling on McKnight Road. 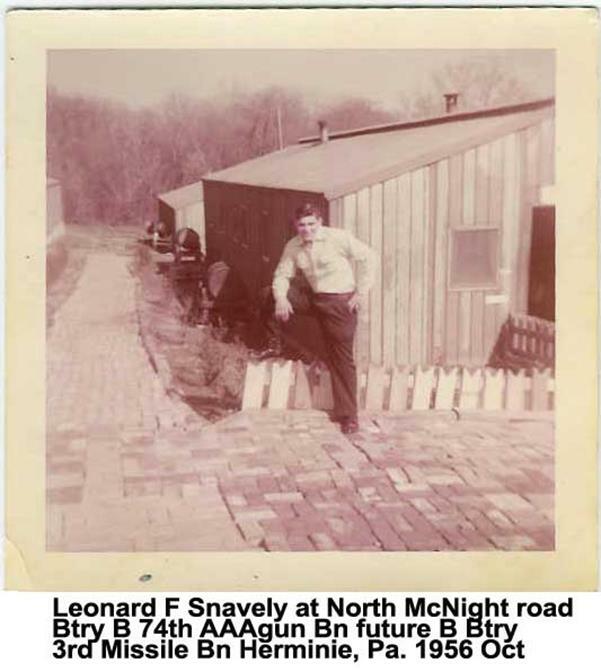 Leonard Snavely is seen posing in front of the barracks. These buildings were on the East side of the compound. Behind these buildings you would be looking toward Woodsdale Road and Crestvale Drive. SSG Snavely arrived, as a Private, at Battery B about 6 months after it was established and stayed until it was turned over to the PA National Guard. He then trained with NIKE missiles and was transferred to Hermitage, PA.
Every year the soldiers would convoy to Camp Perry, Ohio, for �live fire� gunnery practice. Camp Perry is between Sandusky and Toledo, on Lake Erie. No live artillery ordnance was ever expended at any of the sites. This map shows the types of targets in the United States. Note the cluster of targets in the Pittsburgh area; metropolitan, petroleum and steel. The SAC targets indicate Strategic Air Command bases. Interceptors, like the Sabre above, were the first line of defense in the event of a Soviet air attack. Even with large numbers and advanced technology, the danger always existed that one or more bombers might leak through our fighter protection. The F86L fighter was introduced in Pittsburgh in 1957, replacing the F84F fighter aircraft of the 146th Fighter Interceptor Squadron (FIS). Defense in depth consisted of fighters, AAA guns and later both NIKE Ajax and NIKE Hercules surface to air missiles.� A single Soviet bomber getting through with atomic weapons would be devastating. F84F �Thunderstreak� fighters of the Pennsylvania Air National Guard, part of the 146th Fighter Interceptor Squadron, were an integral part of Pittsburgh and Allegheny County�s air defense. This model aircraft was in service in Pittsburgh from 1952 until 1957, when it was replaced with the F86L Sabre fighter. Greater Pittsburgh Airport, circa 1956. 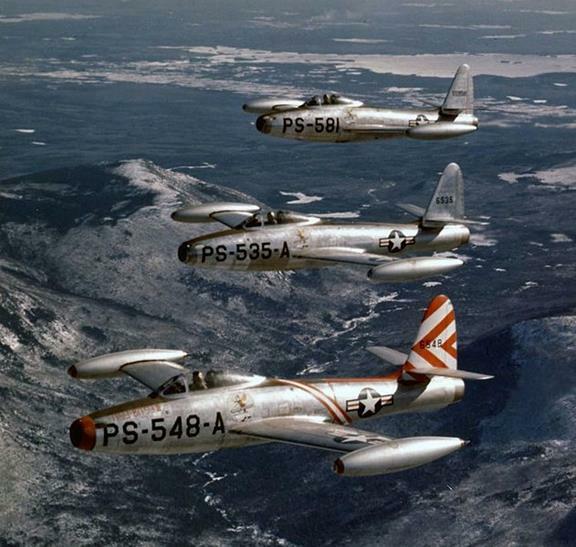 Pennsylvania Air National Guard photo shows at least two squadrons of fighter aircraft, believed to be North American F86 Sabre and Republic F84F Thunderstreak fighters. 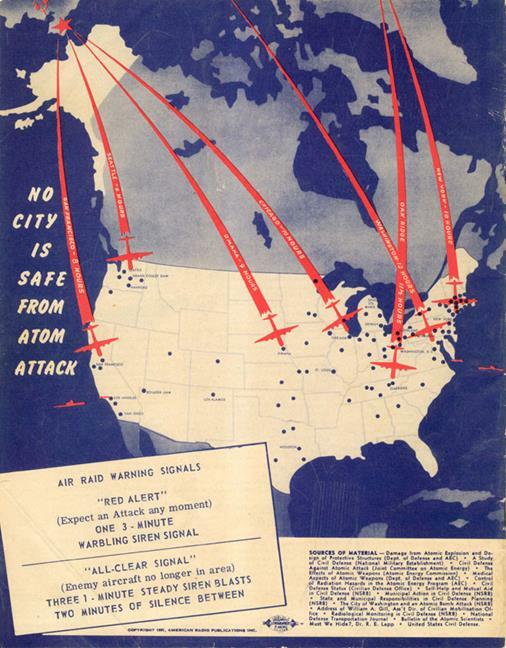 Civil Defense publication showing that no cities in the United States were safe from Soviet attack. Pittsburgh was well within the range of both the �Bear� and �Bison� bombers flying out of the Soviet Chukchi Peninsula bases and the �Bears� coming out of the Kola Peninsula. Pittsburgh (East) (1952 - 1955): at Frick Park. Blawnox (1952 - 1958): at former Allegheny County Jail farm, now RIDC Complex. 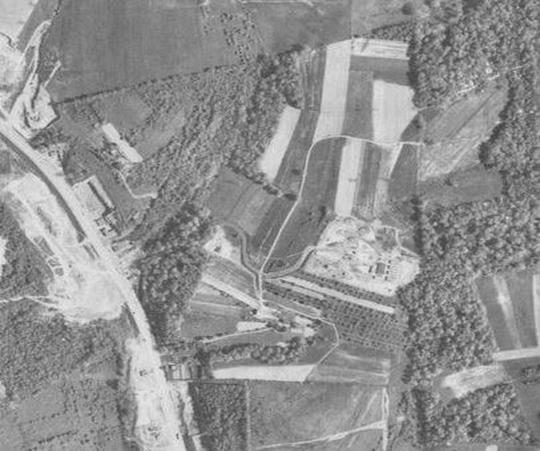 Etna (1952 - 1958): at Middle Road in Shaler Township above Rt 8 and Saxonburg Blvd . Pittsburgh (North) (1952 - 1958): at McKnight Road. (Schramm�s Farm) Ross Township. Kenmawr (1952 - 1958): at Phillips Road. Moon Run (1952 - 1958): at Planet Way. Heidelberg (1952 - 1958): at Collier Street. Bridgeville (1952 - 1958): at Cook School Road. Broughton (1952 - 1955): at South Park, also served as HQ for entire PGH Air Defense. Brentwood (1952 - 1955): at Brentwood Road. West Mifflin (1952 - 1955): at Kennywood Park. For security reasons, most of the sites did not indicate their exact location, only a landmark in the area of the site. The Schramm�s Farm site was also known as Millvale, for example. Initially the army relied on the original roads to gain access to and from the sites. Because of the weight and size of their vehicles and equipment, it became necessary to build proper roads. This was due, in part, to the death of a soldier during a crash while trying to negotiate a large truck on a narrow, winding farm road. The last of the Anti-Aircraft Artillery sites were completely deactivated in 1958 and the air defense of Pittsburgh became the responsibility of the NIKE missile sites. Battery B location; The �Bogie Wheels� were removable and used only for transport purposes. Once a site had been established for the guns, the wheels would be removed and the gun secured. Seen behind the wheel assembly is a draw leading downhill toward McKnight Road, looking toward Siebert Road. 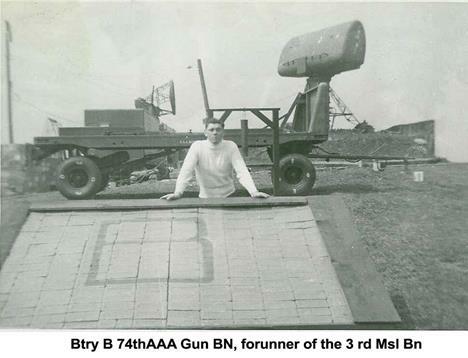 A Battery B soldier is standing in front of a mobile radar unit.� These mobile units were used to acquire targets for the guns, prior to more permanent radar facilities being constructed. This photo is facing North, at the highest point of the compound. The later model radar units worked in conjunction with the gun directors for better accuracy. Once the NIKE missile sites were established, they were normally set up in groups of three (3) or four (4). One location was a radar site that coordinated a nearby missile site. A 1952 U.S. Army National Guard report outlined the threat to Pittsburgh, noting its vulnerabilities. "It can be approached from all directions with no protection from the mountains," read the report, now on file at the Historical Society of Western Pennsylvania. "Critical industrial areas strung out along the Monongahela, Ohio and Allegheny Valleys, though well dispersed, are suited for pinpoint landing but not mass or atomic bombs. River patterns excellent landmarks for navigation." The same report also catalogued Pittsburgh's strengths as an industrial power, calling this area of the country "probably the most important section of the United States." The region's bituminous coal mines were producing most of the nation's soft coal; the steel mills were providing the steel for most of the nation's buildings, bridges and warships; and its shops were producing most of the country's machine tools. The report listed 16 steel plants that needed to be protected, along with a litany of electric manufacturing plants, highway tunnels, railroad yards and railroad tunnels. The Army also built a command center in Oakdale, where technicians monitored radar and maps amid the glow of blue neon lights. Supplementing the new missile system was a ring of 90 mm gun batteries in such places as Connellsville, Greensburg, Freeport, Brownsville, New Kensington, Carnegie, Amity and Claysville and the previously listed North Hills locations. In the early 1950s, "Pittsburgh was one of the more heavily defended cities in the U.S.," said former Army National Guard SFC. Earl Close, co-author of the 1952 "Operation Plan for the Anti-aircraft Defense of Pittsburgh." Due to a shortage of officers, at the time, SFC Close received a direct commission as a Second Lieutenant in the United States Army. Major Earl Close is now retired and living in Arizona. This diagram shows how the Search Radar and the T-33 Radar Van work together with power supplied by the generators to feed information to the guns. 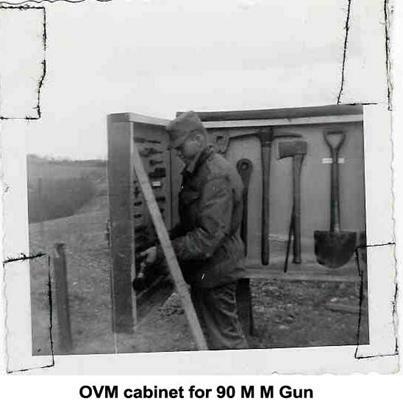 Battery B location; The OVM cabinet, or Operational Vehicle Maintenance cabinet was used to store tools and other items necessary for securing and maintaining the guns. This area would be near where the baseball field is now located across from J C Penny�s, Ross Park Mall. Battery B location; from gun #3, �Susie�, you are looking north, towards the high ground, near the terminus of Pittview Road. 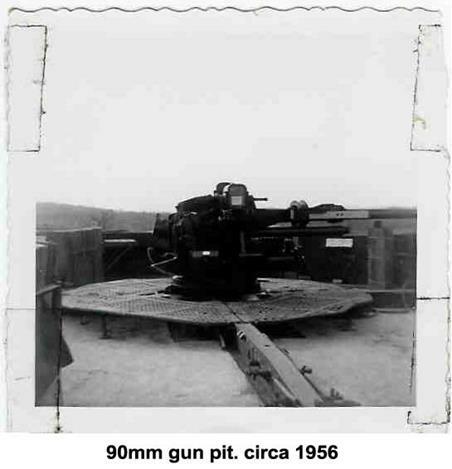 The �Bogey Wheels� for the guns were kept close, even with the guns were deployed to a permanent site. In the event of an emergency, the guns could be made mobile and moved at short notice. 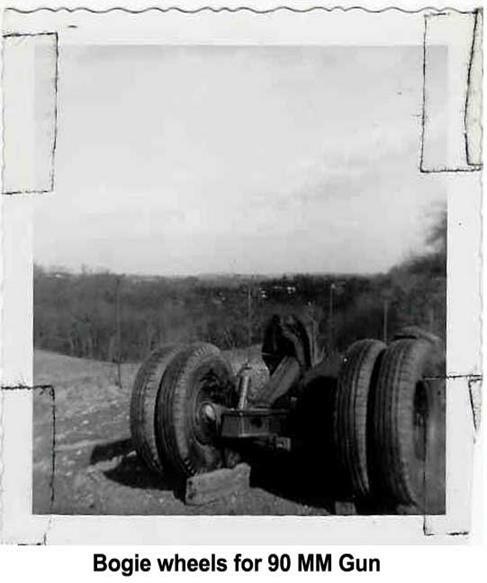 Battery B location; Each of the sites were mostly self-sufficient but Battery B did rely on Schramm�s Farm for fresh produce and other farm products to supplement their food supplies, as did Battery D at the Allegheny County Prison Farm in Blawnox. Battery B location; this view is while looking north from the gun pits towards Sears at Ross Park Mall. Once the gun was placed and the bogey wheels removed, the base of the gun was secured to the ground. A short revetment wall was erected to protect the gun and crew from aerial attack. Headquarters and Battery A for the 74th AAA Gun Battalion was located just off Gass Road at Valley Hi Drive. 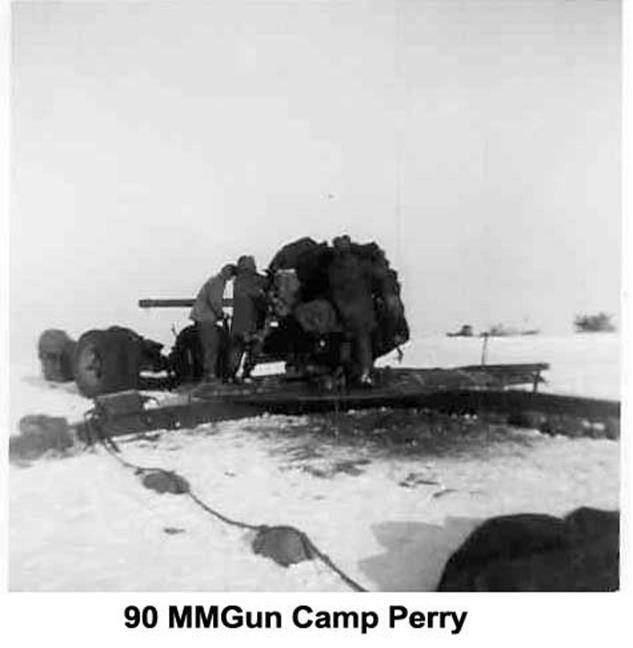 Battery A also mounted four (4) 90 mm guns. With the deactivation of the gun sites, this location became Site Pi-93, part of the NIKE missile defense system. Site Pi-93 was a radar control station for a NIKE missile launcher site. 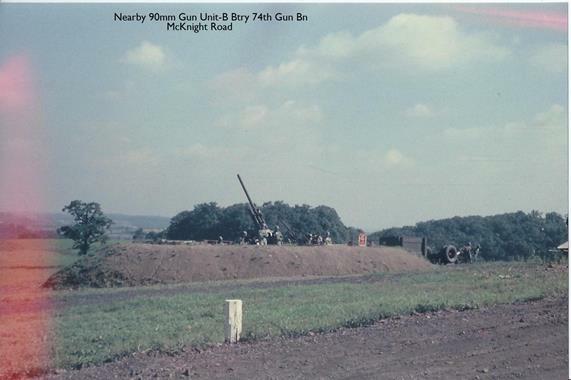 These launchers were located across the valley, off Joseph�s Lane, near the present Avonworth High School. The radar control station remained active throughout the NIKE missile defense of Pittsburgh. When the NIKE missiles were deactivated, Site Pi-93 became an armory for the Pennsylvania Army National Guard, Company A, 28th Signal Battalion, until it was transferred to Grove City, PA in 2008. This location is currently occupied by the United States Army Corps of Engineers and is used as a communications hub for their radio system that links the Locks and Dams on the rivers in Western Pennsylvania and Ohio. Battery B location; this view is looking South, over the barracks, toward the lower farm property and McKnight Road. The army provided its own internal communications within the base. 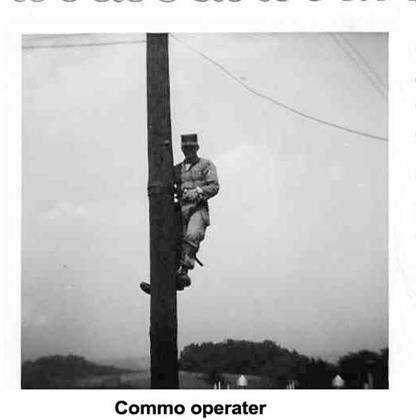 They also tied in with commercial telecommunications for communications outside the base. As previously stated, all of the antiaircraft guns were deactivated by October of 1957 and the NIKE missile batteries took responsibility for the air defense of Pittsburgh and Allegheny County. Since the dispositions of the NIKE batteries are listed at the beginning of this report, further information on those units will follow, also. I want to thank Mr. Peter Schramm, SSG Leonard F. Snavely (Ret.) , Major Earl Close (Ret.) and PFC Roy Kennedy for their assistance in this project. Mr. Schramm started this off and provided information and insight about his personal life on the farm and with the AAA gun site. Numerous photos in this paper have been provided by SSG Leonard F. Snavely, U. S. Army (retired), from his personal collection. 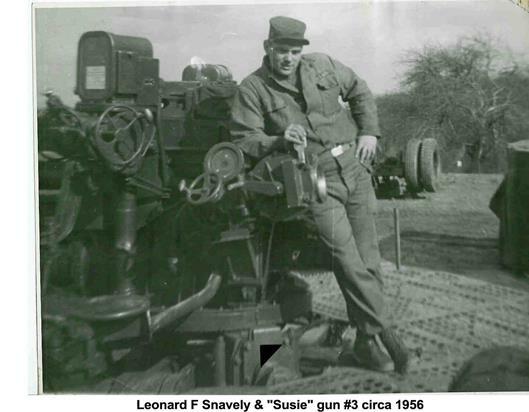 Mr. Snavely passed away in October 2010 and had served at Battery B, 74th AAA Gun Battalion and then with NIKE missiles before retiring to Jonestown, Pa. near Harrisburg. Mr. Schramm, ironically, lives right across the street from me. 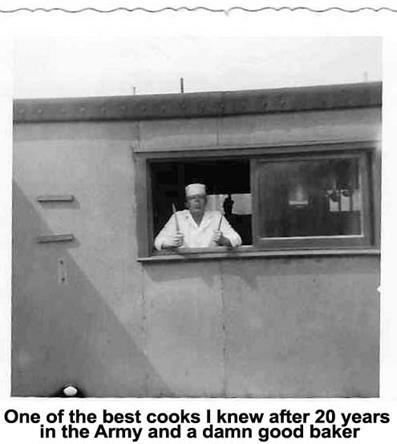 Major Earl Close, U. S. Army (retired) has also provided valuable information, photos and documents for this report. Major Close resides in Tucson, AZ. Roy Kennedy served at Battery D, 74th AAA Gun Battalion for two years and currently lives in O�Hara Township. They were all very helpful in my research and keeping me in the right direction. The remainder of the photos and diagrams are files found on the internet. I have to admit that after over 2 years of research; every now and then I discover new information. With that in mind, this report will also continue to grow. History needs to be remembered, not forgotten. Thomas A. Koedel is a retired police officer serving with the Ross Township Police Department for 31 years. A self proclaimed student of military history, Eagle Scout, former United States Army ROTC cadet, Armory Board Member of Company A 28th Signal Battalion Pennsylvania Army National Guard and a retired Major from the United States Air Force Auxiliary, the Civil Air Patrol.